Had been looking for some time for a replacement rug to match the rooster theme in the kitchen. This rug is good quality, bright colors, and very reasonably priced. Cleans easily. A few edges had the tendency to curl up, but eventually they laid flat. I have it in front of the kitchen sink. bought for a christmas present and my daughter-in-law was ecstatic. Rugs are perfect I use 3 in my kitchen. The colors are great not to bright or to dark. Rugs are well made. Better than one in a store. This was a gift for the next door neighbor, so I will get to see how it wears, etc. I love cows as does my girlfriend. I bought this rug for her for Xmas. I love it, so I'll be buying one for myself after the new year! I am quite pleased with my purchase of a second border rug for my kitchen. The design is bright and cheerful, of good quality and wears well. I ordered a second rug in case it is taken out of stock. I use the border rug in front of my kitchen sink. Rooster is what I ordered Style #2063 I do not want the cow, Thank You! I love Roosters and my last Rooster rug wore out. So just had to have another. Cannot find "Rooster" decor locally.. 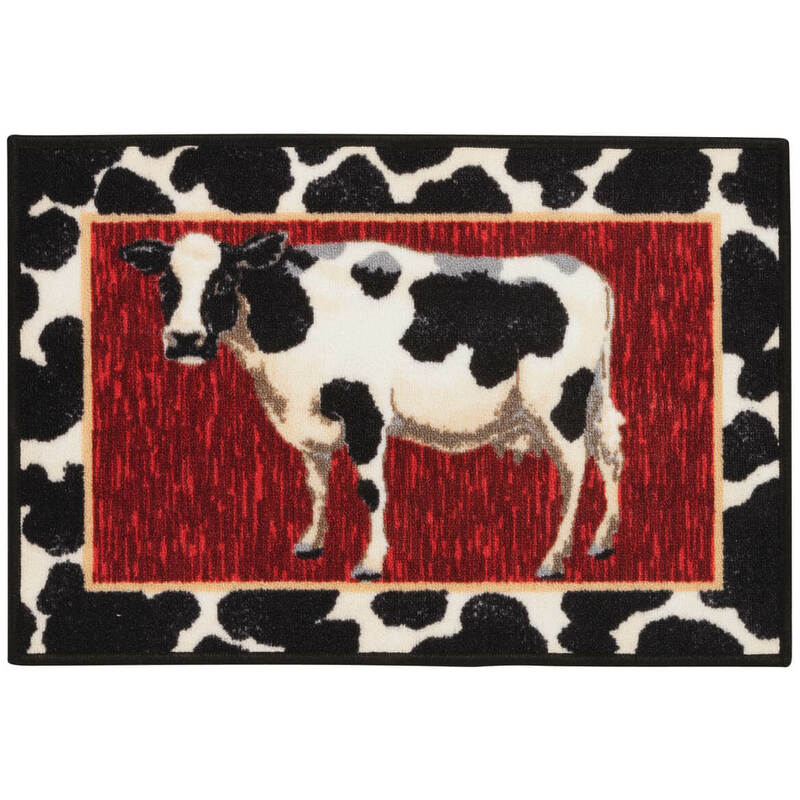 I love cows and cow decor. 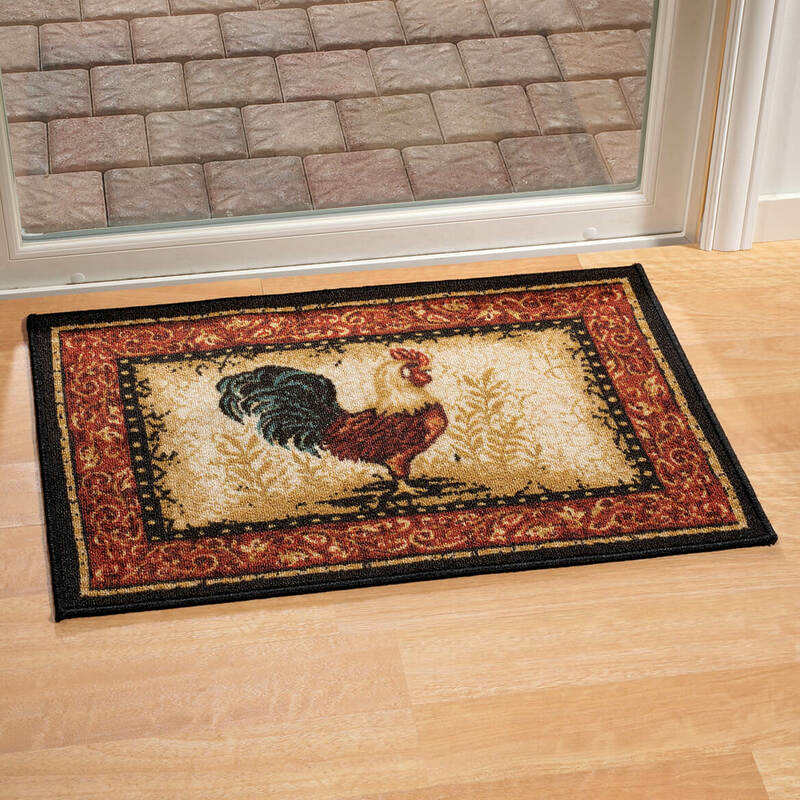 I have roosters in my kitchen and think the rugs will look nice. Just like roosters so bought the rooster rug. 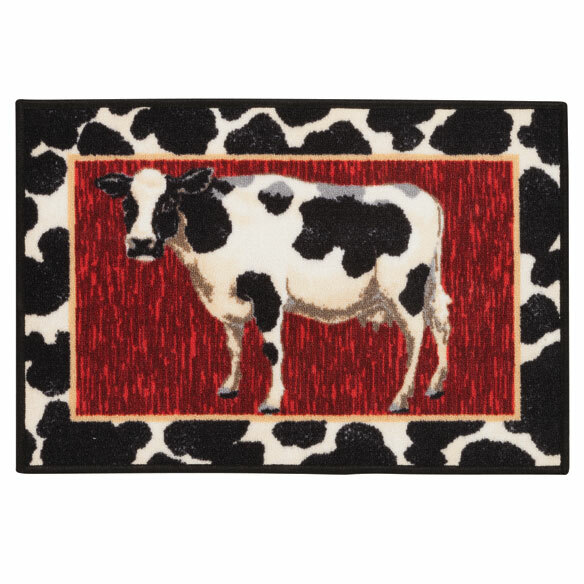 Can always use rugs by the kitchen sink and like the whimsical cow and traditional rooster. I've bought rugs from you before, and have always been pleased with them. My son has a cow kitchen and the colors are perfect. It will be a Christmas present. I can't find any rooster themes in the stores anymore. My daughter-in-law loves cows, and I like the colors. I love roosters and my entrance way is bare so this would go great there. I love the cow.It's like the kind I collect for my kitchen.It's not easy to find these cows that look like real ones.Most are oddly shaped. I have a collection of rooster/chicken items. One of my friends has the same rug and I fell in love with it. I had to have it for my kitchen. 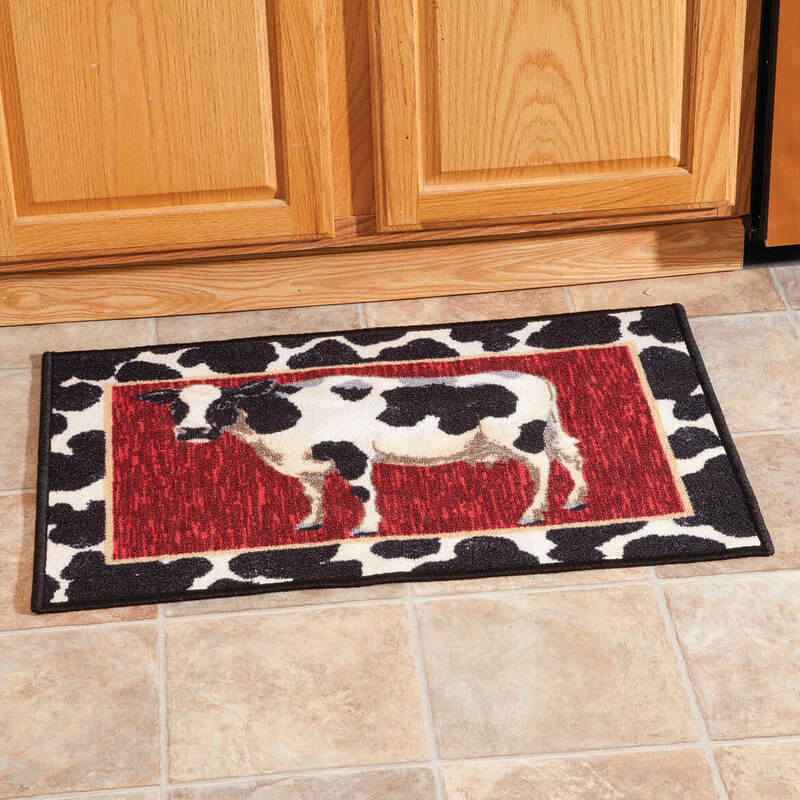 Looking for a rooster rug for kitchen! BEST ANSWER: yes, it is. wash it on gentle. I love my rugs. I bought 3 of them!!! !